Subtle but magnificent array of fruity esters. 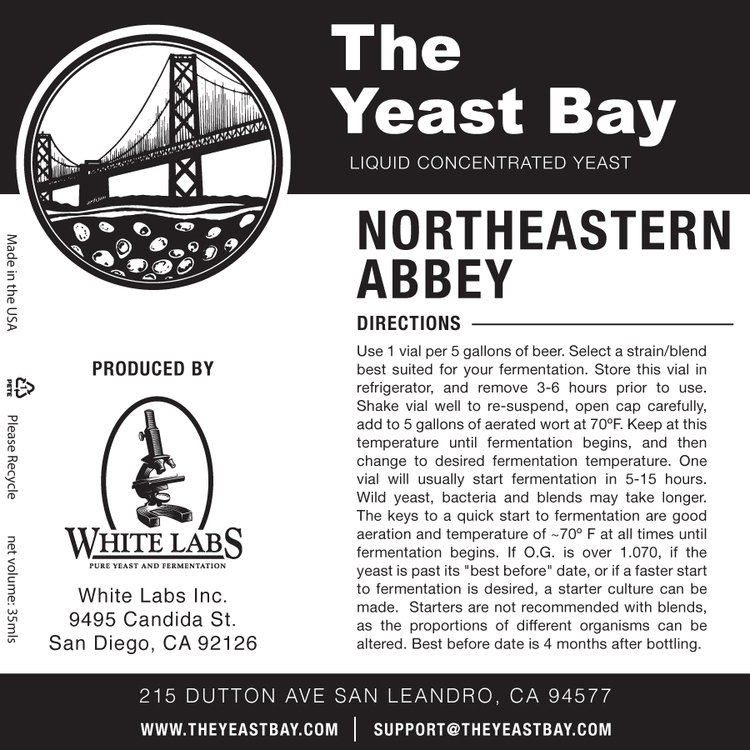 This yeast was isolated from a beer crafted by a well-known producer of Belgian-style ales in the North Eastern United States. This yeast produces a very mild spiciness and earthy flavour and aroma which is complemented by a subtle but magnificent array of fruity esters, including pear and light citrus fruit. The brewery from which this strain was isolated uses it in a very versatile manner across an array of Belgian styles. 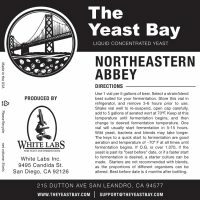 We prefer using this yeast for any and all light Belgian beers, including Wit, Belgian Pale and Belgian Blond, in addition to any experimental fruit beers in which a more unique and robust flavour and aroma profile is desired. Expect this yeast to produce a large, thick krausen.